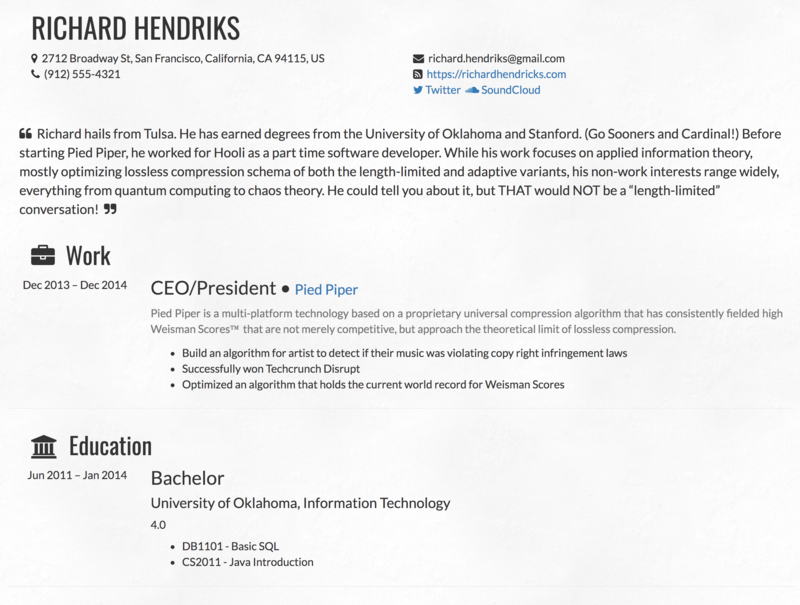 Now view your new resume and profit! 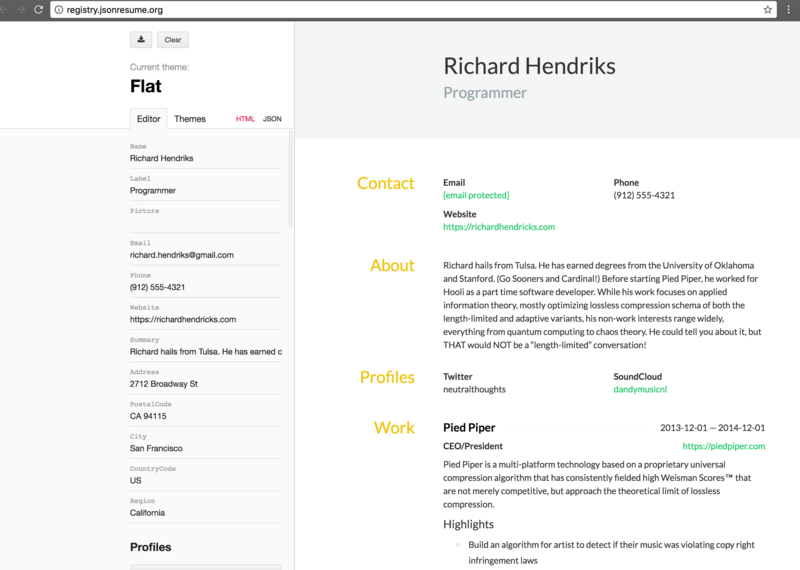 The open source initiative to create a JSON-based standard for resumes. For developers, by developers. Copy and Paste your info into the Resume Editor and click the download button! Blindly copy and paste these commands (trust me, I know stuff).